Sara Payne Hayden passed away after a brief illness on March 15, 2019, in Plano Texas. Born Sara Evelyn Payne in Granite Falls, North Carolina on August 29,1919 to William Theodore and Lula Mae(Hayes) Payne, she had four siblings, a sister and three brothers. She graduated from Granite Falls High School at age 15 and later King’s Business College in Charlotte with a degree in business. Sara held employment at the Hickory Telephone Company and the Avrett and Ledbetter Roofing and Heating Company, Inc. in Charlotte. A true woman of the south,Sara learned to smoke in the tobacco fields behind her house at about the ripe old age of 13. Always one for taking a moment with friends, she enjoyed the busy social scene of Charlotte in the late 1930’s. As she came from a long line of Methodists, Sara turned a few heads when she attended the Presbyterian Church in Charlotte “because the members had more fun.” To this, one of her devout Methodist uncles stated, “Evelyn, I guess that’s better than nothing.” She often stated there were plenty of male suitors knocking on her door. She also became a skilled Bridge player. While watching a movie in 1942, Sara saw a newsreel showing women flying and ferrying planes. From that moment on, flying became her passion. She obtained the requisite hours flying in Charlotte and eventually applied to the Women Airforce Service Pilots. There were over 25,000 applicants to the program, of which 1830 were accepted. She was one of 1074 women to graduate the program in 1944, Class 44-W-10. She was sent to Randolph Air Force Base, Texas where she tested AT-6s after major engine overhauls. She also ferried BT-13s from one side of the base to the other, where they were stored. Then on December 20, 1944, the WASP program was disbanded. After the war she joined the US Air Force Reserve in 1949 commissioned as a 2ND Lieutenant, only to be called to active duty in 1951 ​as a Women’s Army Corps (WAC) recruiter. 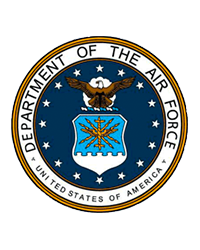 It was while working in this capacity in Tennessee that she met her future husband Dr. Frank A. Hayden (then a captain in the Army Medical Corp) of Lawrence and Methuen, MA. They returned to Methuen in 1953. Sara settled in Methuen and started her family and became an active member of the community. She continued to hold her pilot’s license and was a commercial rated flight instructor. She was vice president of the WASP’s, and a founder of the Women Military Aviators, Inc. She was a member of the New England section of the 99’s. She was a past commander of The American Legion Methuen Women’s Post 417 and Boys State Chair. She received the Congressional Gold Medal of Honor along with her fellow WASPs in 2010 for being “The First Women in History to Fly American Military Aircraft” Act of Congress 2009. Her family members include her two sons, Gregory W. Hayden of Perryville, MO, and Shawn A. Hayden of Plano, TX, as well as four grandchildren, Derek G. Hayden of Pensacola, FL; and Dallas W. Hayden , Piper M. Hayden and Wyatt P. Hayden of Plano, TX. Sara also leaves several great grandchildren, as well as nieces and nephews and their children. Family and friends are invited to an hour of visitation from 10am to 11am on Wednesday March 27, 2019 at the Dewhirst & Boles Funeral Home, 80 Broadway, Methuen. A funeral service will follow the visitation at 11:00am on Wednesday at the funeral home. Interment with military honors will follow in Elmwood Cemetery, Methuen. A reception will be held later in the day. 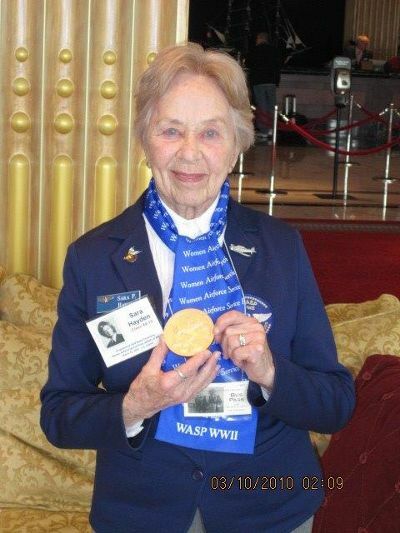 In lieu of flowers donations can be made to the following organizations supporting women pilots: http://www.womenmilitaryaviators.org/scholarship-fund.html; https://waspmuseum.org/give.html; https://www.ninety-nines.org/donation.htm; https://www.womensmemorial.org; https://pof.twu.edu (Other, Women Airforce Service Pilots); https://www.wai.org/donate​. To leave an online condolence please visit Sara’s tribute page at www.dewhirstbolesfuneral.com.